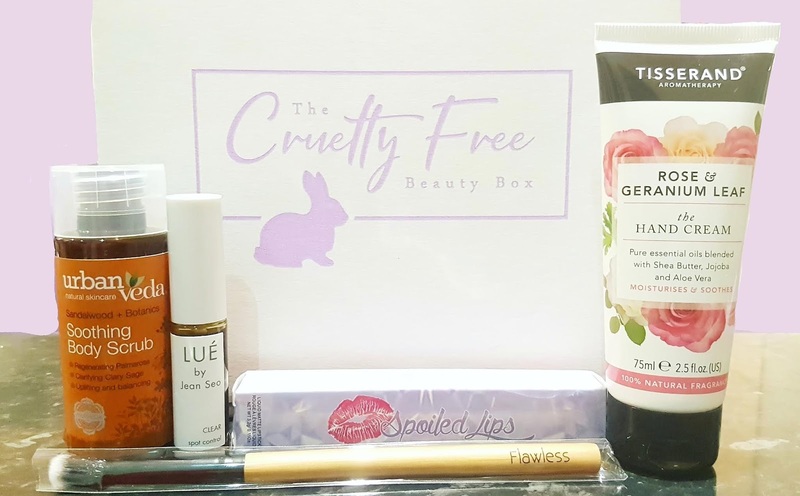 It has been a hot minute since I reviewed The Cruelty Free Beauty Box, but I am back with my thoughts on Edition 19! November's collection contained four full size goodies, plus a deluxe sample, and came in a brand new box design. All together the edit was worth over £38, and offered some lovely products that are perfect for the changing seasons. Plus, along with the several brands I was familiar with, there were a few I have never tried before which is always an added treat! Before I jump into what was in the box, I just want to give a heads up that there are some fab treats following this review, including a one stop shop for Christmas gifts, free gifts, and the chance to grab 15% off your first shop order -- so be sure to stick around all the way to the end! Flawless is a 100% cruelty free and vegan cosmetics company that makes PETA approved makeup brushes using synthetic fibres, sustainably sourced bamboo handles, and recycled aluminium ferrules. While the fibres of their brushes are a synthetic, meaning they are a plastic polymer (a "superior grade nylon and polyester which is laser finished to provide a non-stick coating" to be exact), these are one of the better ethical makeup brushes I have found on the market. Synthetic bristles ensure no animals are being harmed plus have much better anti-bacterial qualities as the material is non-porous. This means you can use them for longer and contribute less waste to landfill. The Blending Brush is super soft and has the perfect balance of length to offer both colour pickup and flawless blending. This is actually my second brush from them, and I am still very happy with the results I have been getting. My first one is still in near perfect condition, so I am thrilled to have another -- now I can have one for light shades and one for dark! You probably realize I have a real soft spot for Tisserand's products, as they have featured pretty regularly in my reviews since starting The ecoLogical. I even did a Brand Spotlight back in March! 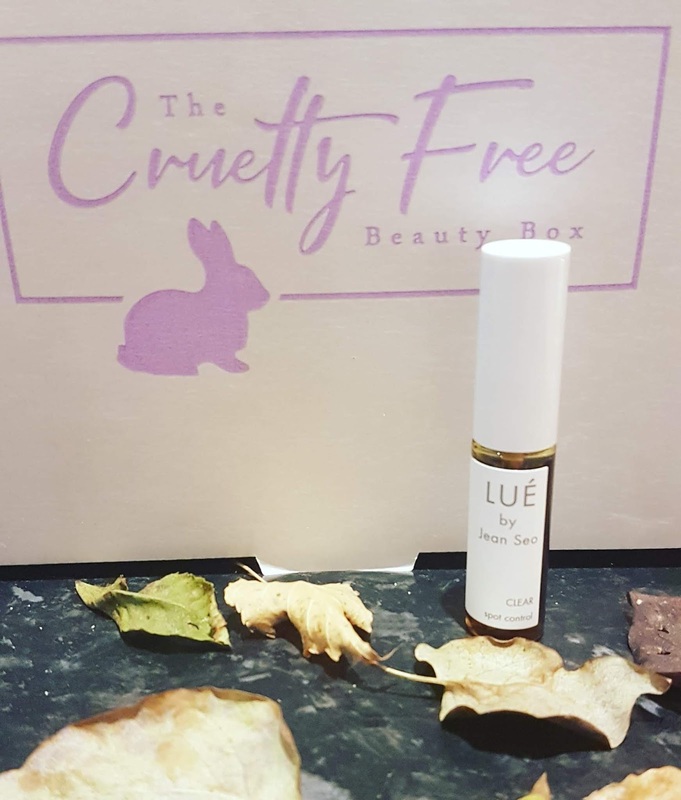 So when I saw that November's collection from The Cruelty Free Beauty Box included a full size bottle of their Rose & Geranium Leaf Hand Cream, I was very pleased at first, as I knew this would have a stunning (and natural) fragrance and contain nourishing ingredients perfect for the winter months. Tisserand's hand cream feels similar to their body lotion, so it is a bit wet to begin with. You only need to use a small amount, but you will find that this expertly blended product really does help to soften and heal hands, and protect the exposed barrier from the harsh winter elements. Plus, "botanical extracts of Aloe Vera and Calendula Flower with added, moisture-rich Jojoba oil, this 100% naturally fragranced hand cream helps to protect and soothe delicate skin and strengthen nails." I love how affordable Tisserand is, as they offer effective aromatherapy based products at a price that is reasonable for everyone. While this hand cream isn't the most moisturizing I have tried, it can be a brilliant skin treat and help keep the bite of winter at bay. Plus, it smells of a warm summer's day, and that is the memory we all hold onto during these cold, dark months, isn't it?? My only complaint is that it contains phenoxyethonal, meaning I will not be able to enjoy this -- while my face is the main part that tends to strongly react to this ingredient, I have found that other delicate areas can be sensitive to it as well. I may try to give it another go in a few weeks, as I truly love the scent, but sadly I may have to gift this to someone who does not react to this annoyingly common synthetic preservative. Exfoliation is important, especially during the cold and dry months of the year, so I was happy to see a treatment included for subscribers in November's edit of The Cruelty Free Beauty Box. Urban Veda's Soothing Body Scrub works to "gently exfoliate and buff away dead skin cells" while "harnessing the power of naturally abrasive exfoliants of pumice stone and crushed walnut shell powder." This exfoliant uses natural abrasives like pumice rather than microbeads, and is intended to leave your skin balanced, refreshed, and calm. Urban Veda is one of those brands that for me is hit and miss, as some products have relatively clean ingredient lists, whereas others I steer clear of due to there being far too many nasties. This body scrub is nearer the natural end of the spectrum, however it does have a lot of alcohols that can be potentially very drying, ALS (a surfactant normally made in a lab and containing PEG in its structure), and parfum (which may or may not be synthetic). Because of this, I would say that if you have sensitive or dry skin to maybe give this a pass. Due to the nature of the not so nice ingredients it could irritate your skin or worsen your symptoms, but otherwise this could be a great budget friendly option for those looking to exfoliate. One thing I do like about Urban Veda is the variety they offer - there are four ayurvedic treatments they have: Purifying, Radiance, Revive, and Soothing. So if one doesn't suit your skin type, there are three others that may work for you! Ingredients: Aqua (Water), Ammonium Lauryl Sulfate, Pumice, Glycerin, Acrylates/C10-30 Alkyl Acrylate Crosspolymer, Alcohol Denat., Polysorbate 20, Benzyl Alcohol, Cocamidopropyl Betaine, Juglans Regia (Walnut) Shell Powder, Sodium Hydroxide, Aloe Barbadensis Leaf Juice, Parfum (Fragrance), Lavandula Hybrida Oil, Pelargonium Graveolens Oil, Pogostemon Cablin (Patchouli) Oil, Salicylic Acid, Sodium Chloride, Cananga Odorata Flower Oil, Sodium Benzoate, Tocopherol, Potassium Sorbate, Citrus Aurantium Dulcis (Orange) Peel Oil, Citrus Limon (Lemon) Peel Oil, Cymbopogon Martini Oil, Eugenia Caryophyllus (Clove) Leaf Oil, Rosmarinus Officinalis (Rosemary) Leaf Oil, Salvia Sclarea (Clary) Oil, Sorbic Acid, Terminalia Arjuna Bark Extract, Santalum Album (Sandalwood) Oil, Mentha Piperita (Peppermint) Oil, Commiphora Myrrha Oil, Linalool, Limonene, Citronellol, Geraniol, Eugenol. "Clear" is a spot control product that uses "a powerful compound which leaves skin smooth, radiant, and clear. Using a special blend of 12 herbs and organic biodynamic alcohol, this tincture is the ultimate blemish & spot control for leaving your skin flawless." Now, I don't ever take a product description as the be all and end all, and I always check the label to make sure there are no hidden nasties crammed in between the genuinely natural oils and botanicals. And guess what -- I'm really impressed by the ingredient list! Not only is it totally clean, but it is full of antiseptic, healing, and anti-inflammatory plant based goodness that I am confident will work some magic for my congestion-prone skin. The product has a little lip gloss style wand inside the tube, and you use that to dab the product onto any problem areas. It definitely stings a little (okay, maybe a tiny bit more than a little! ), but not in a way that is concerning at all. There was no redness afterwards, and the area didn't feel sensitive or anything -- just cooled, calmed, and sterilized. While this isn't a miracle treatment, it definitely helped reduce the size of unwanted spots pretty quickly, and I think with regular use this could really work to keep blemishes away. While the size is pretty small, the application method actually means you only end up using a tiny dab of the tincture so I think this should last a fair while. The only comparison I can really make is to Balance Me Congested Skin Serum sample tubes which are the same size and lasted me about 1-2 months each. Fingers crossed this is about the same, as this could quickly become a staple in my cupboard. Lue by Jean Seo is definitely a new skincare love of mine! Ingredients: Organic Alcohol (Cane), Aloe barbadensis (Aloe Vera) Leaf Juice, Hamamelis Virginiana (Witch Hazel), Angelica Sinensis (Dong Quai), Rheum Palmatum (Rhubarb Root), Cassia Senna (Senna), Pimpinella Saxifraga (Theriac Venezian), Camphor, Curcuma Zedoaria (White Tumeric), Fraxinus Ornus (Manna), Commiphora Myrrha (Myrrh), Carlina Vulgaris (Carline Thistle), Crocus Sativus (Saffron). Spoiled Lips is an American cruelty free and vegan makeup brand whose dream is to make formulas as flawless as their customers. They began with a line of liquid lipsticks, then expanded to eye palettes and liquid highlighters. Spoiled Lips actually has two types of liquid lippies on offer -- matte and metallic, and both ranges are paraben free, waterproof, long-lasting, and of course, free from animal harm! The Cruelty Free Beauty Box included one of the liquid mattes, which "will stay on all day long without smudging or streaking." There are eleven options of the matte lipstick available, and I got a stunning deep jammy colour called Medusa. The perfect mix between mulberry and magenta is ideal for the season, as the shade helps warm your surroundings and makes for a brilliant contrast with cooler winter tones. I always opt for a darker lipstick in autumn and winter, so this was the perfect pick for me in terms of look. However, as the ingredients just are not for me, I will be passing this on to someone who will use it. Overall I was pretty pleased with Edition 19 even though many items just were not suitable for me personally -- I really wish phenoxyethonal would become another "dirty word" ingredient with brands, as I am so tired of finding it in otherwise perfectly nice formulas. I think the November box offered a great variety for subscribers, and for those not quite so picky in terms of ingredients and for those whose skin is not as sensitive as mine, this was probably a wonderful treat. My star find from this box of goodies was the Lue by Jean Seo "Clear" blemish treatment, which I especially liked and found worked well for my skin (and had an all natural ingredient list which is a win in my book!). 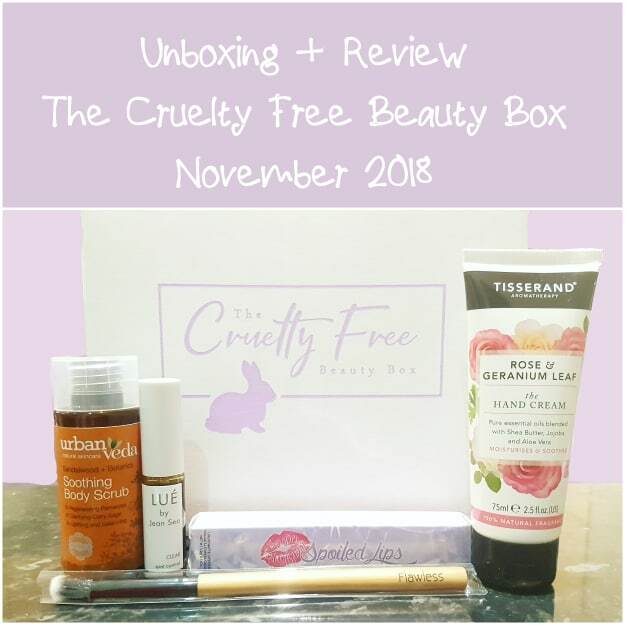 It was really nice to unbox The Cruelty Free Beauty Box once more, as I have enjoyed their subscription since the very beginning, and I loved seeing their fresh new look. So much so that I have decided I will get the December box as well before having a bit of a pause again (not because I don't adore TCFBB, I really rate this box and it is one of my suggested gifts for Christmas! -- it is just because I just have SO many products to work through that I have to limit my subscriptions until I have some free space in my cupboards -- I just want to make sure nothing goes to waste!). 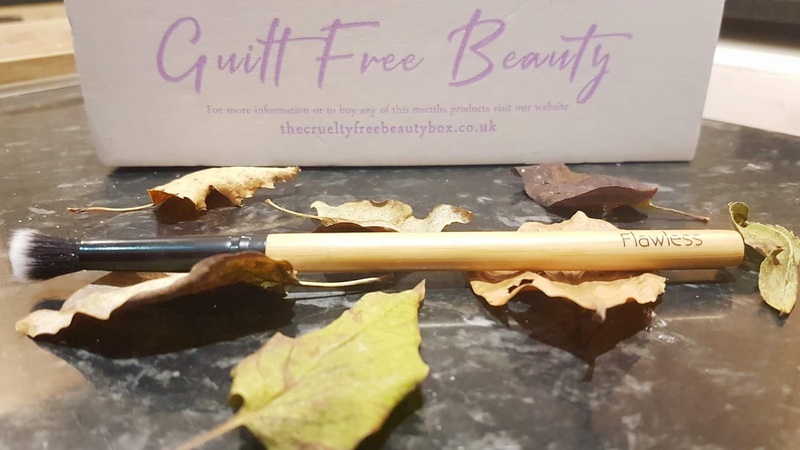 If you missed November's collection and want to sign up for the December box, be sure to head over to The Cruelty Free Beauty Box soon and subscribe. The boxes are shipped around the 10th of the month, but the cut off date for sign ups is the 4th! The rolling monthly fee is £14.95, which seeing how you can rest assured all is free from animal testing and is vegan friendly, plus you get a minimum of £30 worth of products, is a fantastic value in my opinion. If you are still unsure, have a browse of my past reviews and reveals -- I have a feeling you will be excited by what you find! You can even grab an extra free treat with your first box by using code TREATME. And if you are searching for a few cruelty free and vegan gifts for your friends and family (or even for yourself -- self-gifting is perfectly acceptable! ), be sure to check out The Cruelty Free Beauty Box Beauty Shop! I have talked about this in a previous post, but I thought it was worth mentioning again, as I find this shop one of the main draws personally -- I love that I can pop a few essentials in my cart, pay, and choose to have all my treats sent in my next subscription box! No having to worry about extra shipping fees or excess packaging! There is an amazing range of Christmas goodies up on the shop now, including limited edition gift boxes, special holiday gift sets, timely winter scents (like clementine, gingerbread, prosecco, and candy cane! ), themed goodies perfect for stocking stuffers, and even beauty baubles and Christmas crackers! You can even pick up some treats for the men in your life in the special new range that recently launched. From soaps and shaving supplies, to perfumes and beard oils, there is surely something to wow even the most grizzled of guys! My personal pick would be the Friendly Soap ethical kit, as it offers a fuss free and zero waste option that smells great and doesn't hurt the wallet. If you are planning on ordering, and have not yet used their shop before, you can grab 15% off by using my link -- a perfect way to shop ethical but still get a great deal! And if you do make a purchase, I would love to hear what you got! Oooh that brush looks lovely! I like the sound of the soothing scrub - perfect for winter skin! That is great value! I like the look of that brush. I hope more products suitable for your skin become available soon.